So I have been looking forward to trying a new makeup remover for a while now as I have always been rather fond on my Clinique Makeup Remover, and thought there must be other brands out there that are just as good or maybe even better. 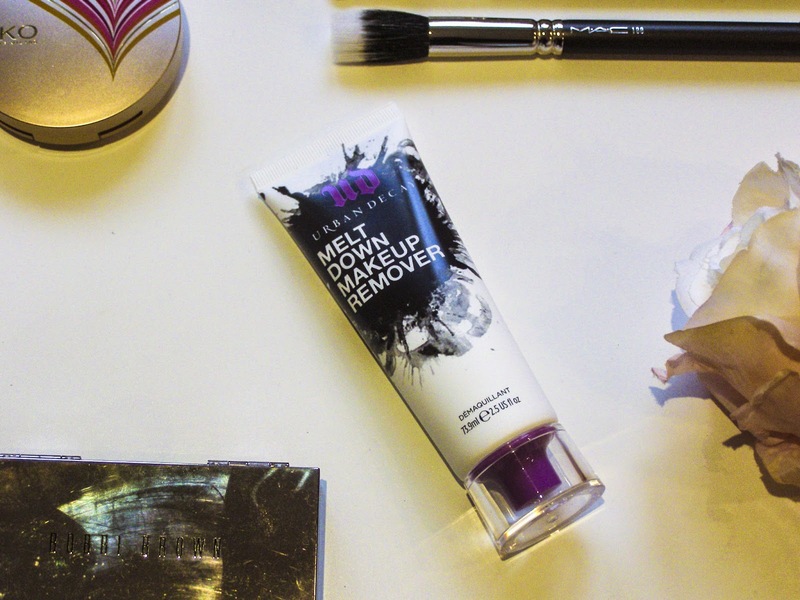 So for Christmas I asked for the Urban Decay Meltdown Makeup remover, as I love their primer and eye shadows I thought I would try some of their other products to see if they were just as good. At first glance I love the packaging which it comes in its vibrant and looks exciting with its bold colours. I then opened the packaging and squeezed the product out on to my hand and it is a white / opaque cream. It felt quite rich like a moisturiser so was interested to see how it was going to turn out on my face. I put a small amount on a cotton wool ball and started to take my makeup off, however it didn't seem to go very far and was getting soaked into the cotton wall ball. It took about 4 cotton wall balls to finally get all of the make up off, which I think it quite a lot. I think next time I will try it with a cotton Pad. After washing my face no more makeup came off, so it did take all of my makeup off it just did not feel like it did, if that makes sense? The product itself says that it is a makeup remover, but then in small letters on the bottom it says it is for eyes in French... Not being a French based company I was not sure why they would put this in French and not advertise it as a eye makeup remover. I am not sure if any of you were confused by the is why getting this product? 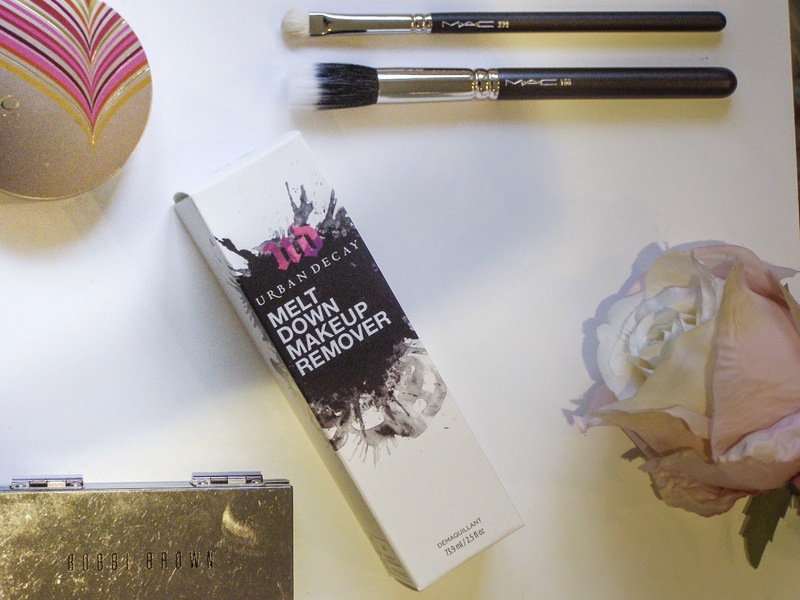 Hope you guys liked this post, and if you have used the Meltdown Makeup remover before please do let me know. I've not tried anything like this from Urban Decay! I'd love to give this a go, I love creamy cleansers - I tend to use just my hands to massage it in though rather than applying onto cotton wool and then remove with a flannel :) Hope it worked better for you on a cotton pad!